The first data products from the NASA Transiting Exoplanet Survey Satellite (TESS) mission are now publicly available at MAST. The first round of data products from the Transiting Exoplanet Survey Satellite (TESS) mission, launched in April 2018, have been released to the public and are now available through MAST. These data include target pixel files, extracted light curve files, and data validation reports from 55 targets in Sectors 1 and 2. These targets all host candidate planets from the TESS Data Alerts system, which communicates planet candidates to the astronomical community to facilitate follow-up at other observatories. As the TESS team finds additional targets of interest, MAST will release the associated data files. MAST is the official data archive for TESS, and will provide access to all public data obtained by the mission. These products will include target pixel files and extracted light curves at 2-minute cadence for approximately 200,000 stars selected by the TESS team (current Candidate Target List), as well as the full-frame images (FFI) of the TESS fields at 30-minute cadence. For a demonstration of how to explore the two-minute cadence data products using Python, see our TESS Tour Jupyter notebook. Developments are also under way to include TESS results in the new exo.MAST service, so look for additional announcements soon! Further questions on the TESS mission or accessing these data can be directed to helpdesks at MAST (archive@stsci.edu) or the TESS Guest Investigator program. 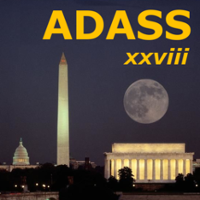 MAST personnel will provide tutorials, talks, and posters at the upcoming Astronomical Data Analysis Software & Systems (ADASS) conference. The TESS Science Data Archive. Steve Crawford and Erik Tollerud will also be participating in two of the Birds of a Feather sessions to discuss open-source and collaborative astronomical software development, so keep an eye out for scheduling updates for these discussions. We look forward to presenting the latest developments at MAST and collaborating with the community on future enhancements! New High-Level Science Products at MAST include a new billion-source catalog from ATLAS, K2-coordinated data from PanSTARRS, and precise stellar measurements for Kepler satellite targets. 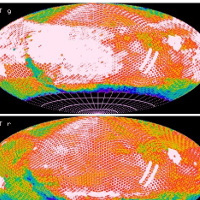 ATLAS-REFCAT2 (Tonry et al. 2018) is an all-sky reference catalog containing nearly one billion stars down to apparent magnitude m ~19, constructed by the Asteroid Terrestrial-impact Last Alert System (ATLAS) team. The catalog includes data from PanSTARRS DR1, ATLAS Pathfinder, ATLAS re-flattened APASS, SkyMapper DR1, APASS DR9, Tycho-2, and the Yale Bright Star Catalog. Gaia DR2 serves as the source of the astrometric solution for ATLAS-REFCAT2, with typical systematic errors of < 5 mmag RMS, although this can be as much as 20 mmag near the Galactic plane. The ATLAS Pathfinder telescope was used to collect g,r,i photometry for stars brighter than the 14th magnitude bright limit of PanSTARRS, and to extend the reference system below -30 declination. 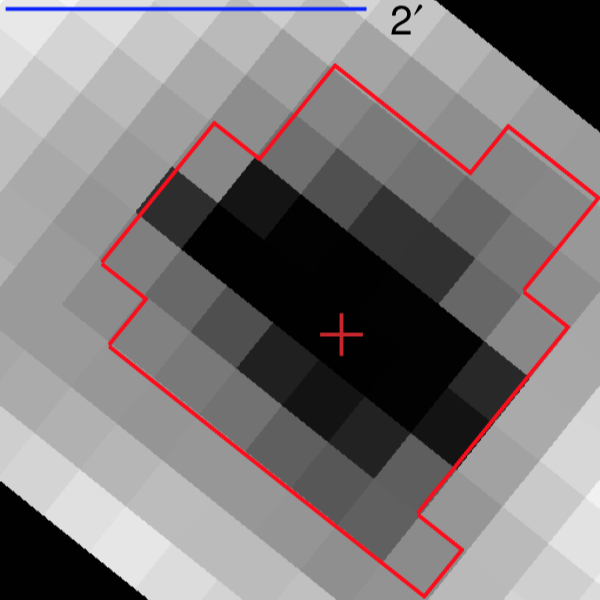 The K2SNE (Dotson et al. 2018) collection provides data from a PanSTARRS survey of the Campaign 16 and 17 fields, simultaneous with K2 observations. The concurrent observations allowed for immediate follow-ups on supernovae and their fading signatures. Images are available in g, r, i, and z bands. KG-RADII (Berger et al. 2018) provides revised stellar and exoplanet properties from the Kepler mission based on parallaxes from Gaia Data Release 2. These catalogs provide more precise stellar sizes and evolutionary states for 177,911 Kepler stars, as well as revised radii and incident fluxes for 2,123 confirmed and 1,922 candidate exoplanets.